University of Central Florida quarterback McKenzie Milton underwent knee surgery at the Mayo Clinic in Minnesota Friday, according to Teresa Milton. 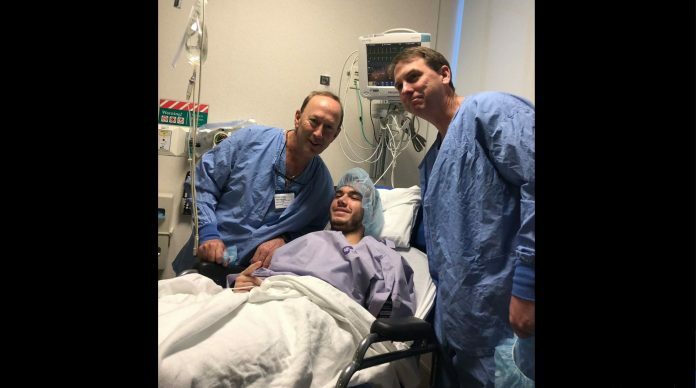 The quarterback, according to Teresa Milton’s Twitter, began surgery at 10:30 a.m. local time and entered recovery at 6:30 p.m. local time. In the first half of the UCF-USF game in Tampa, a Bulls defender tackled McKenzie and fell on his legs, causing the knee extensive damage. Milton had surgery immediately after the game time injury at Tampa General Hospital. Four surgeries took place before Milton attended the PlayStation Fiesta Bowl in Phoenix on the sideline with his teammates. Head coach Josh Heupel expressed his confidence that Milton would return to play football in the near future. “Absolutely, there’s no doubt in my mind that McKenzie will be back on the football field playing at a really high level,” Heupel said in December. No return date to UCF football, if at all, has been estimated.